"... what a wonderful toy ..."
My latest body of work was conceived during my residency at Edward Albee's Barn. 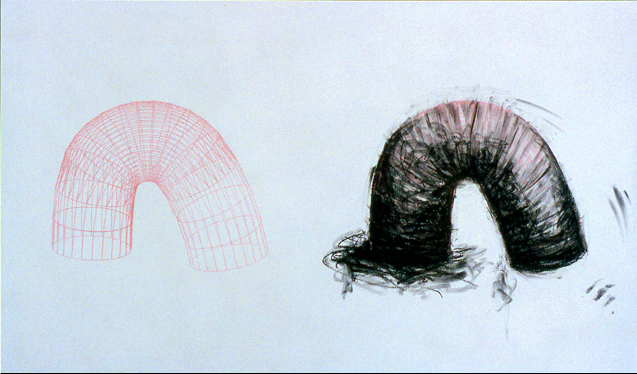 My work is based upon the comparison of man's imperfection with the perfection of machinery, epitomized by the perfect machine: the slinky. 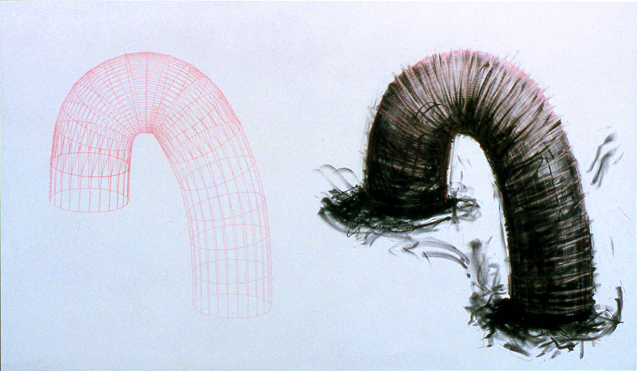 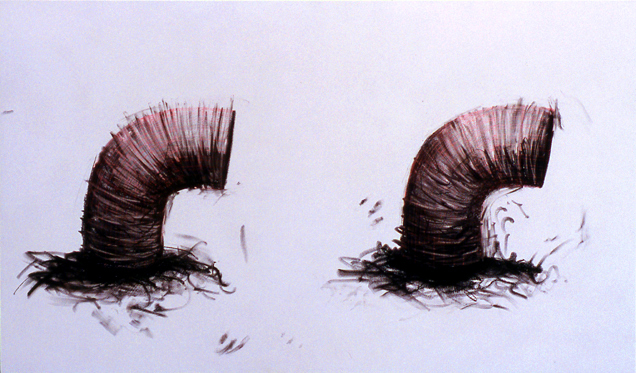 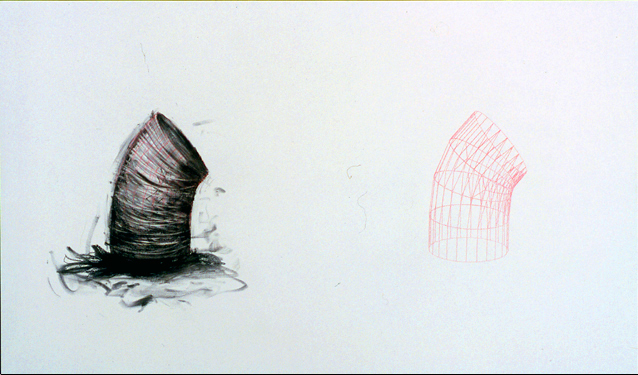 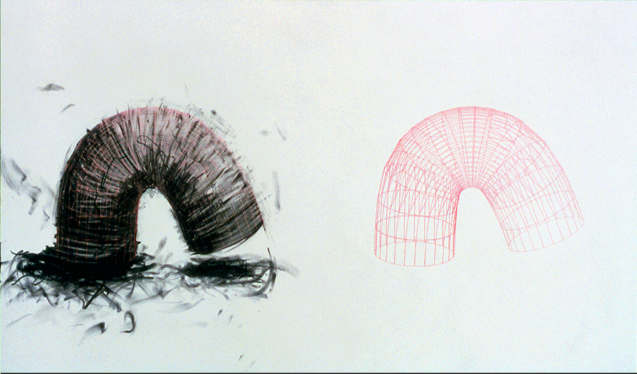 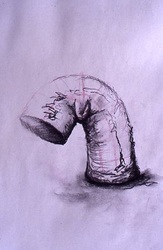 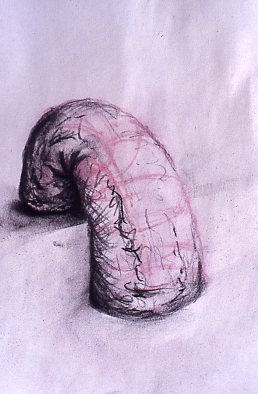 As a self described abstract formalist, I am using the slinky as a simplified form and as a perfect machine. However, the reference to the slinky is merely a reference; the concept is man perfecting the idea of machine. 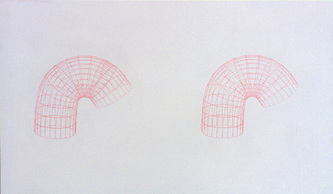 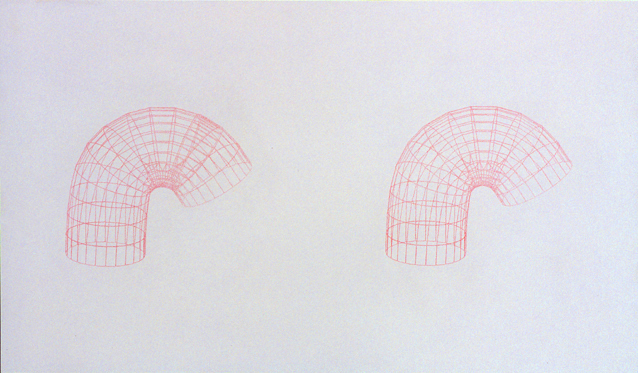 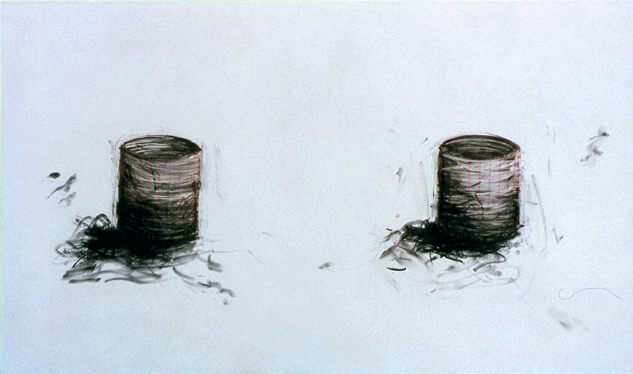 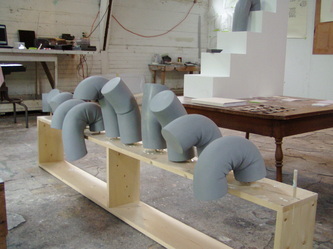 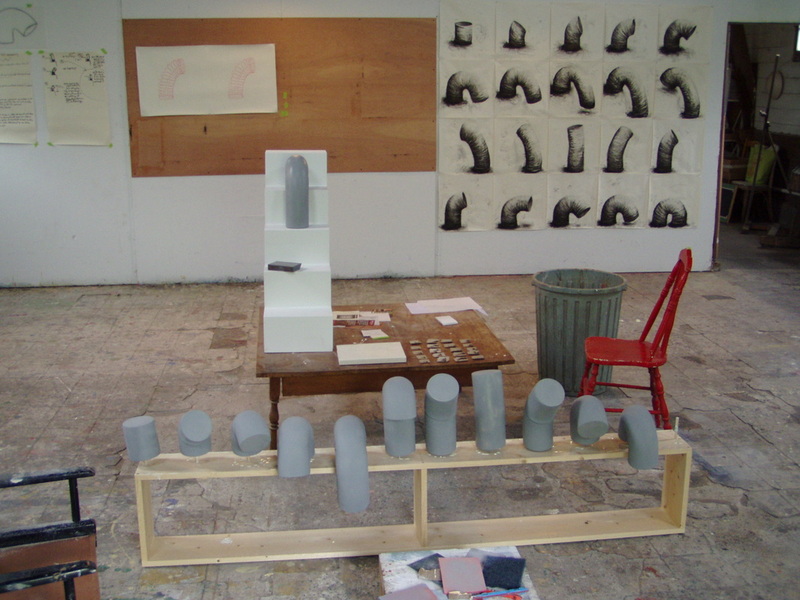 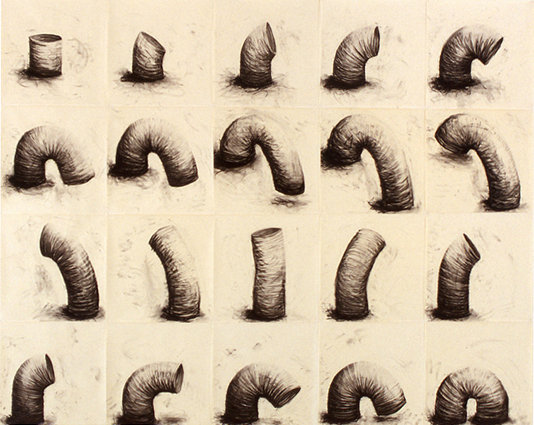 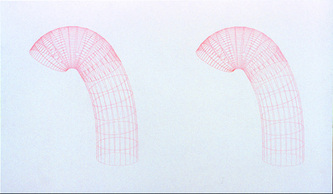 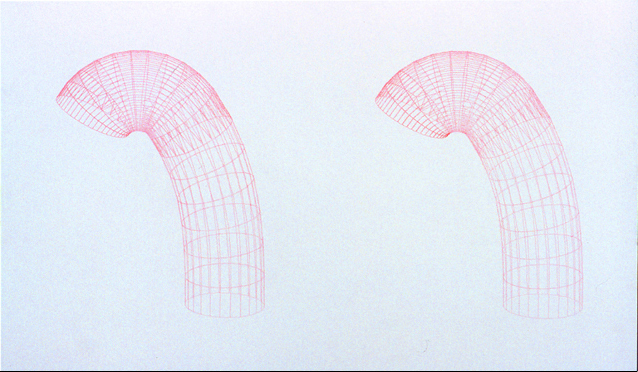 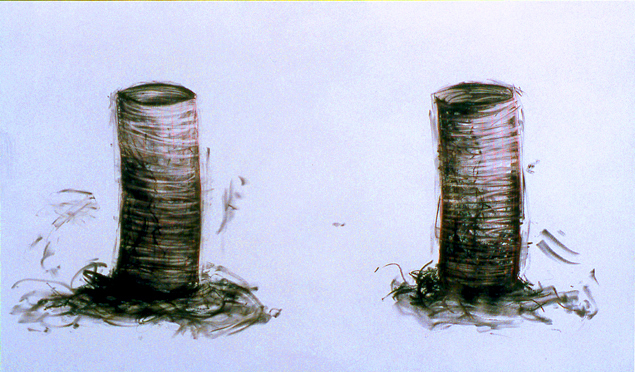 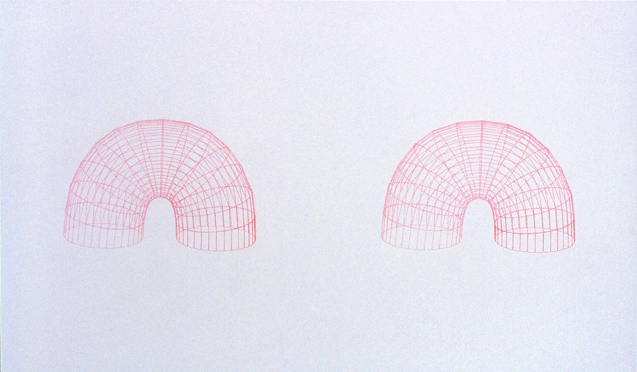 My formal yet simple sculptures are meant to reenact the process of the slinky frame by frame. 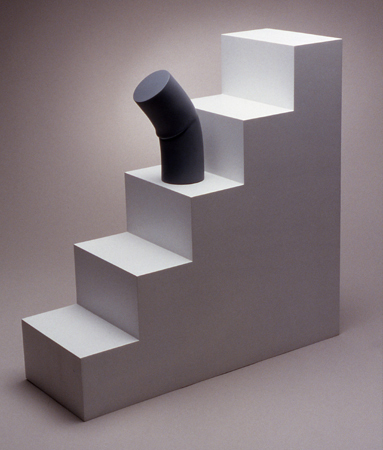 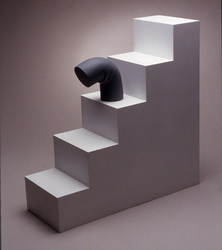 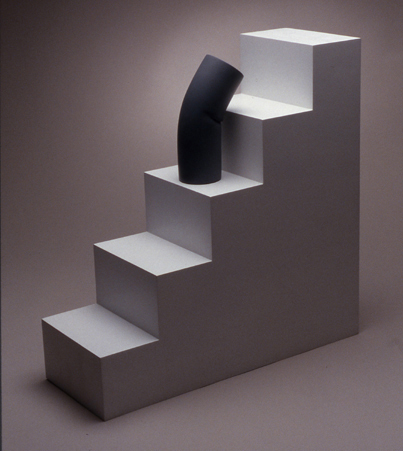 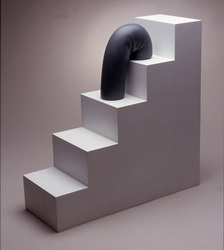 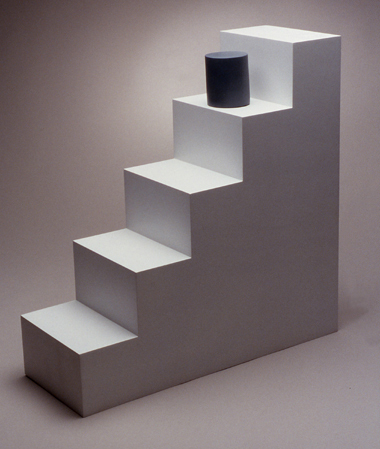 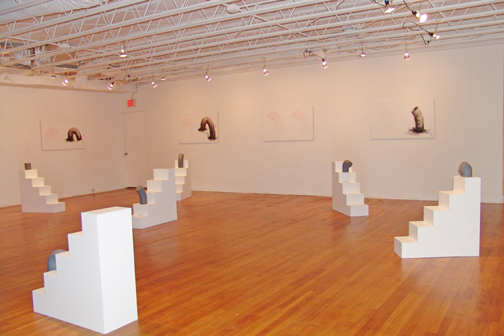 Each sculpture portrays a perfected cylinder in movement down a staircase. 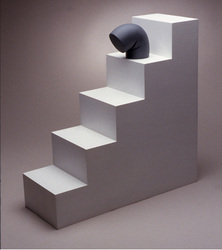 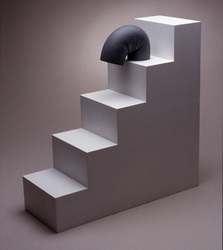 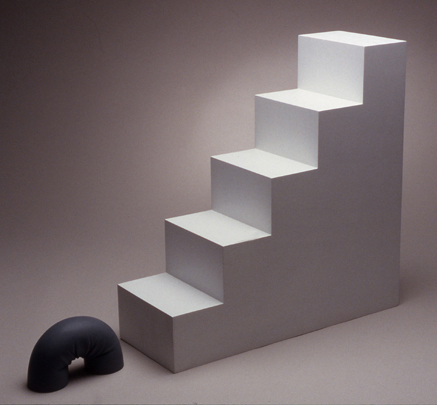 Not only do they show the journey of the form, but also the interaction between the form and its control, the staircase. 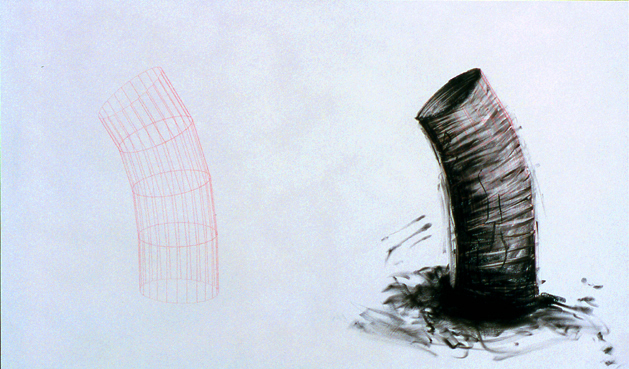 My drawings combine man and machine: the initial image is "drawn" by a CNC machine, but selectively completed by me, the artist. 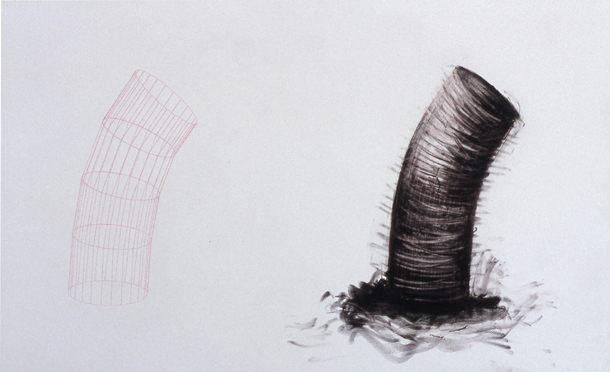 The combination of man and machine made drawing renders the work in a conceptual way, begging the question, which creates the most perfect artistic image: man or machine?